The 19th Hole Golf Villa is located in the Breederiver Valley surrounded with majestic mountains, awesome views and beautiful nature surroundings. As part of the Western Cape Winelands we are proud to be part of some of the biggest vineyard farms and winemakers in South Africa. 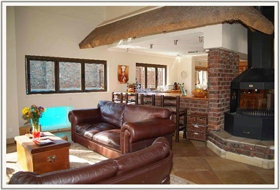 Worcester is the ideal place for you if you need a place to rest or if you have a desire to indulge yourself in all the things the country has to offer. So, if you need to get away from the busy city or if you are on a business trip, come and overnight with us for an unforgettable stay with your friends, family or colleagues. 19th Hole Golf Villa in Worcester offers our guests a luxurious stay in one of 7 gracious rooms. Indulge yourself with a stay in one of 2 elegantly furnished honeymoon or presidential suites and allow us to pamper and spoil you. 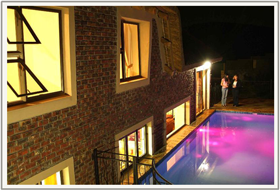 A further 5 executive double – or single rooms will be ideal for the avid golfer or businessman visiting our town. 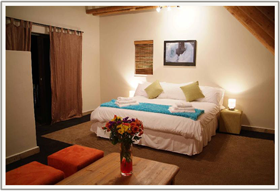 The family room is one of my favourites and any family will be able to have an unforgettable stay with us. You will undoubtedly not be disappointed by the luxury style and beauty we have to offer, all while retaining the warmth and comfort of home.